This writer is currently on vacation, however there have been a few stories that have come out lately that our readers may find of interest. Indeed they had, though the first comment wasn't so much on the convention as it was on the protests. Specifically, PEGIDA Canada posted this article in which a Muslim-American decided to show up with a firearm. 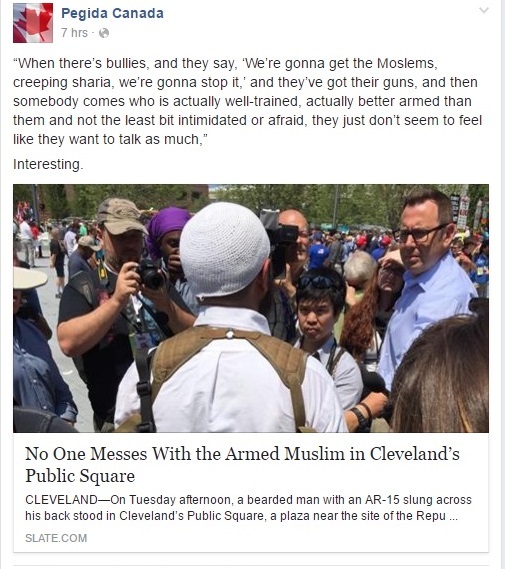 Now, he certainly wasn't alone as numerous Trump supporters were also armed, Ohio being an open carry state. 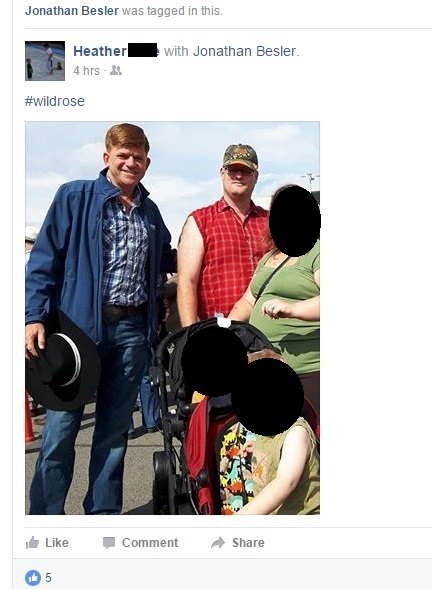 The members/supporters at PEGIDA Canada were all pleased to see this Muslim-American exercising his Second Amendment right to bare arms, proving that he was supported those values that they believed other Muslim-Americans lacked. 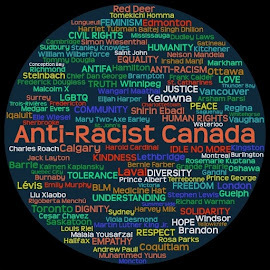 Okay, the title of this article could rightfully be accused of being click bait and of being unfair to Brian Jean, but it is also an accurate title. UPDATE: Looks like the CBC picked up on the story as well. 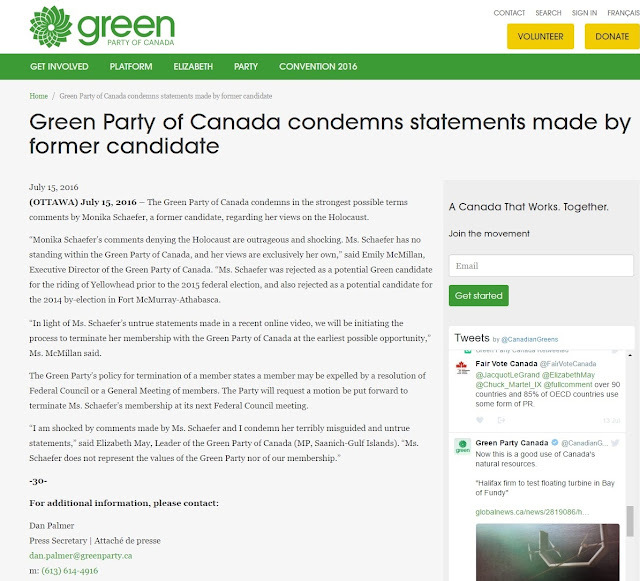 Back in June we published an article about Monika Schaefer, a Green Party member and three time (at least) candidate in the riding of Yellowhead. 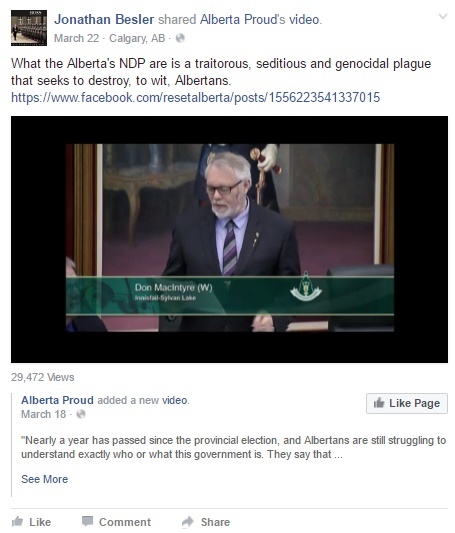 A video shot by a local resident denying the Holocaust has been widely condemned by the community and at least one resident has filed a formal complaint with the Alberta Human Rights Commission. 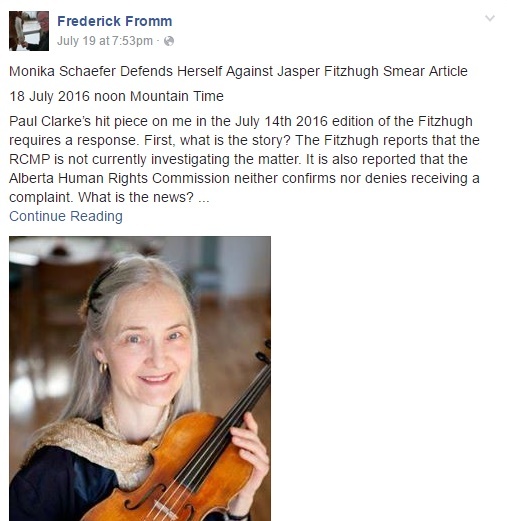 On June 17, Monika Schaefer, a well-known Jasper resident and former Green Party candidate, appeared in a video on Youtube denying the Holocaust. 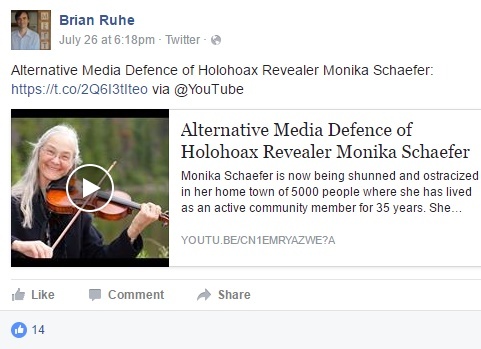 The video was subsequently posted on her Facebook page. 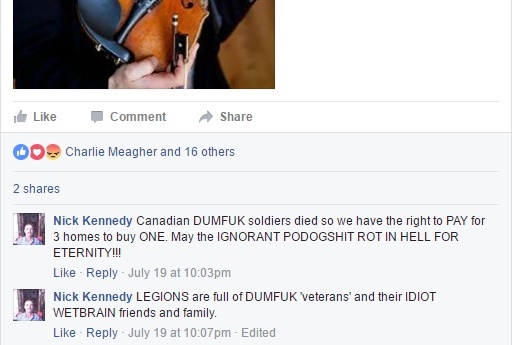 Ken Kuzminski, president of the Jasper Royal Canadian Legion, described the video as hate speech. 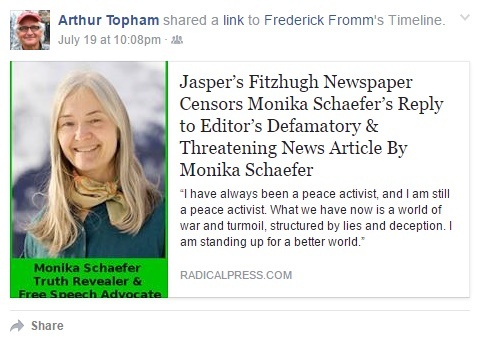 It's been a while since we heard anything about Michelle Erstikaitis. 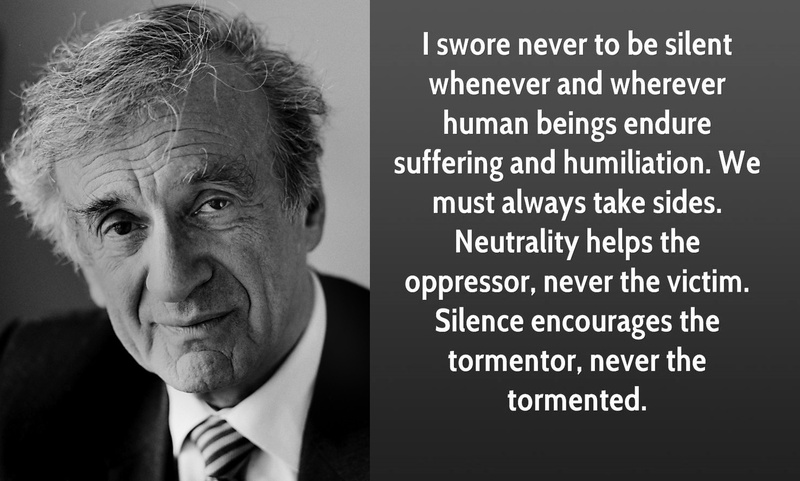 Last we heard she was still in detention from a previous run-in with the judicial system and Paul Fromm was diligently visiting her behind bars (really, though he claims her as a White Nationalist P.O.W. Paulie's relationship with Erstikaitis remains inexplicable to us.... unless.... yuck!). We'll, it looks like she is out of prison. Paulie might have a hard time explaining this away. Michelle Erstikaitis, 36, who was deemed a dangerous offender five years ago, appeared in a College Park courtroom Tuesday looking dishevelled and ranting about wanting “a refugee lawyer” to handle her case. She is charged with attempted murder, aggravated assault and carrying a concealed weapon. “I’m a Canadian citizen and I want to leave this country,” Erstikaitis said in open court. Okay, so, what did she do exactly? Toronto Sun sources alleged the woman initially asked for asylum but soon began shouting “ISIS is coming to kill you” and other odd things. Officers arrived and found a guard suffering from multiple stab wounds. “It’s alleged the woman tried to force her way into the consulate while armed with a three-inch box cutter,” said Sidhu, who added she rushed through the body scanner at the front entrance prompting a guard to react. As the guard grabbed the woman, she allegedly slashed his throat with the razor-sharp box-cutter narrowly missing a major artery, sources say. “He managed to avoid serious injury,” Sidhu said, adding the guard’s arm was also sliced before the woman was subdued. 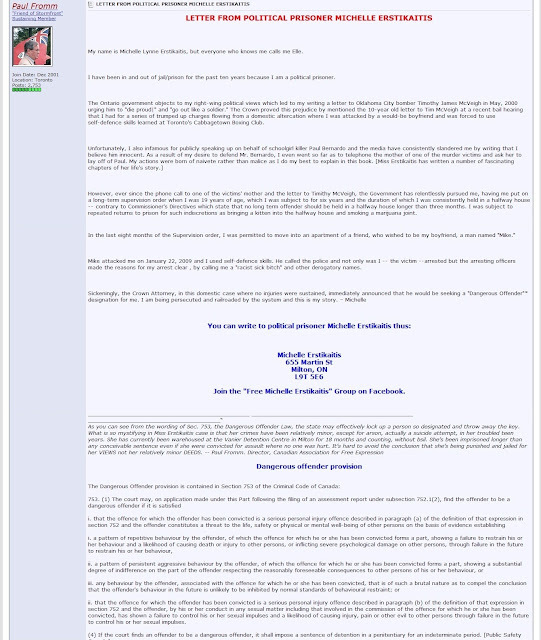 The article goes on to detail Erstikaitis' long and sordid history of legal problems, arrests, and her dangerous offender designation which Paulie suggested was COMPLETELY unjustifiable.